Senate Judiciary Committee Chairman Chuck Grassley of Iowa and Senator Chuck Schumer of New York have introduced legislation to help families locate missing loved ones who have autism or other conditions that may cause them to wander away from caregivers. S.2614, also known as Kevin and Avonte’s Law, will reauthorize the expired Missing Alzheimer’s Disease Patient Alert Program and include new provisions to support people with autism. Kevin and Avonte’s Law is named in honor of two boys with autism who perished after wandering. Nine-year-old Kevin Curtis Wills jumped into Iowa’s Raccoon River near a park and drowned in 2008. 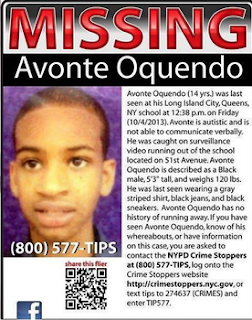 Fourteen year-old Avonte Oquendo left his school and drowned in New York City’s East River in 2014. UPDATE: This bill made it through the Judiciary Committee with a 15-5 favorable vote. Thank you for your support, Senator Hatch!